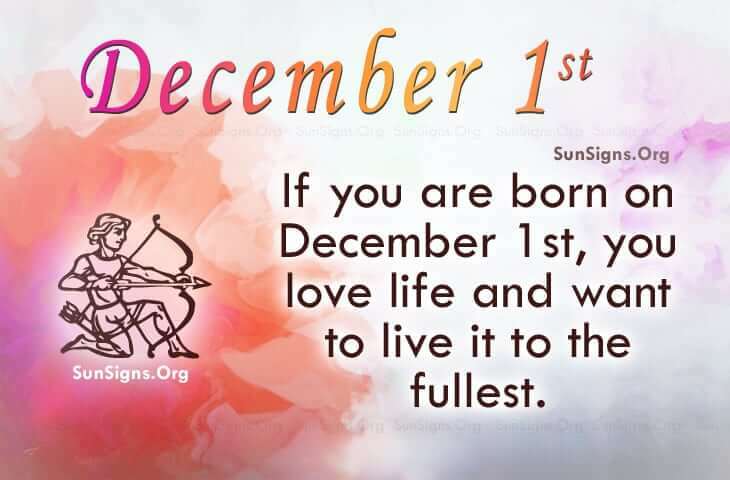 Famous people born on DECEMBER 1 are certainly different Sagittarius. Their personality is wonderfully upbeat, though their beats are on another level. It doesn’t stop them from being spunky, fun to be around as they are hilarious. They like doing things when they think about them. There is so much more to them than what is on the surface. But normally, they are not looking for anything serious. Nonetheless, when they find that soul mate, they make the commitment to be faithful and true. It would seem that since their friends come from all over, they usually have someone around who thinks they are either crazy or they join in on the playing and exciting diversions. So in talking about their friends, it brings to mind their love interests. There could be many of them. Famous celebrities born on December 1 are typically breathtaking individuals who are extremely popular. Their playmates are just as attractive as they are. However, this is just not enough to fulfill their dreams of having the perfect match. Famous people born on DECEMBER 1st could be spunky Sagittarius who are otherwise optimistic and amusing. They love life and want to live it to the fullest. They work hard and like to play just as hard. Most of them will wait to have children.